A creamy dip served cold with an assortment of dippers. 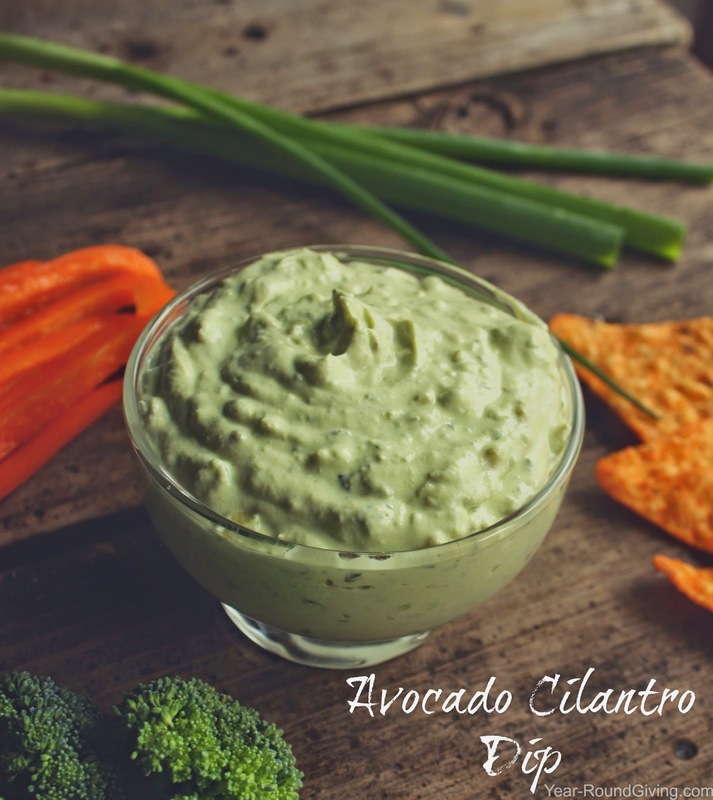 The dip has smooth avocado flavor with a punch of cilantro and undertones of onion. Perfect for a light snack or appetizer. 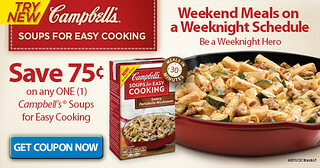 I am loving these new Campbell's® Soups for Easy Cooking. Have you tried them yet? Don't you just love the web? The world at your fingertips. I want to introduce you to a website that I've been using for a several months now. It is called Yummly. It is a website with nothing but recipes from around the web. It is your virtual recipe box that you build. You can save and categorize your favorite recipes that you find on the web using the Yum bookmarklet or the Yum button. I have added the Yum button. See it over there on the left of your screen or if your reading this via mobile device on the bottom? I would love for you to believe that as a food blogger I am always in the kitchen and well feed. The truth is, I am constantly busy. I always have a full schedule and while making sure everyone else is taken care of I sometimes forget to take care of myself. Then I find my self starving and "hangry". 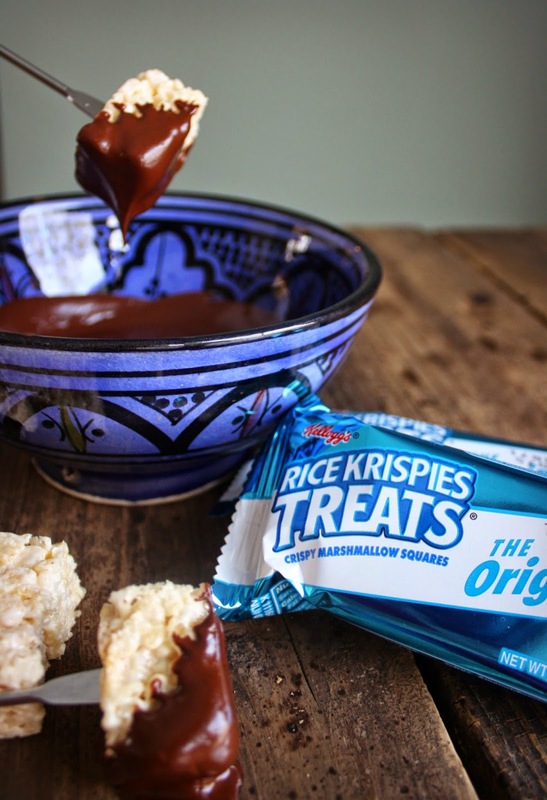 Take snack time to another level by dunking the already fun and yummy Rice Krispies Treats in melted chocolate. 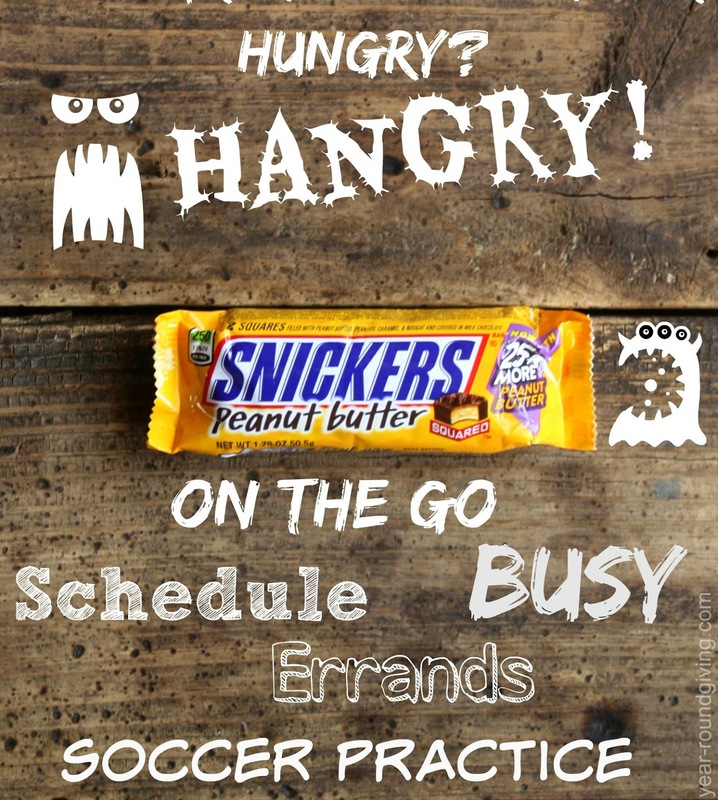 Snack time doesn't have to be mindless and boring munchies. With a few minutes snack time can be indulgent and delicious. 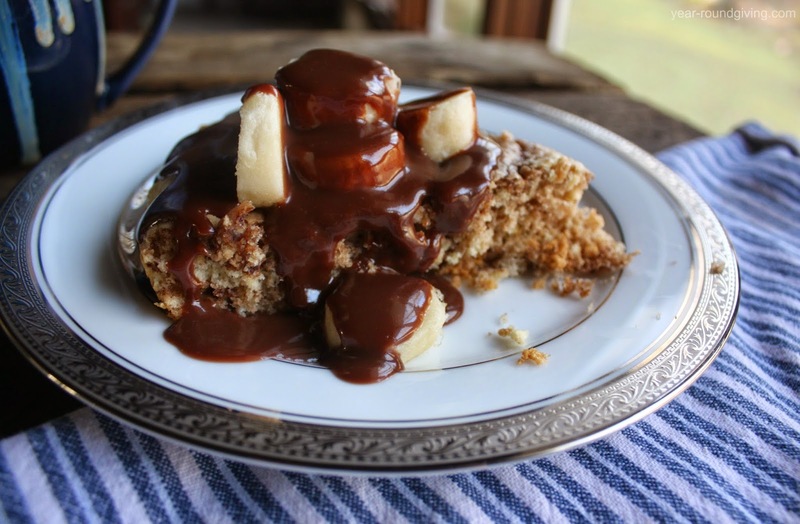 My friends, this Banana Nutella Swirl Pancake with hot Nutella Sauce is amazing! I wish I could have you all over for breakfast. This is one huge pancake with mashed bananas and a Nutella swirl served with fresh sliced bananas and a hot of the burner Nutella sauce poured over the top. M&M's® Crispy Popcorn Snack Mix is sweet, buttery and salty. 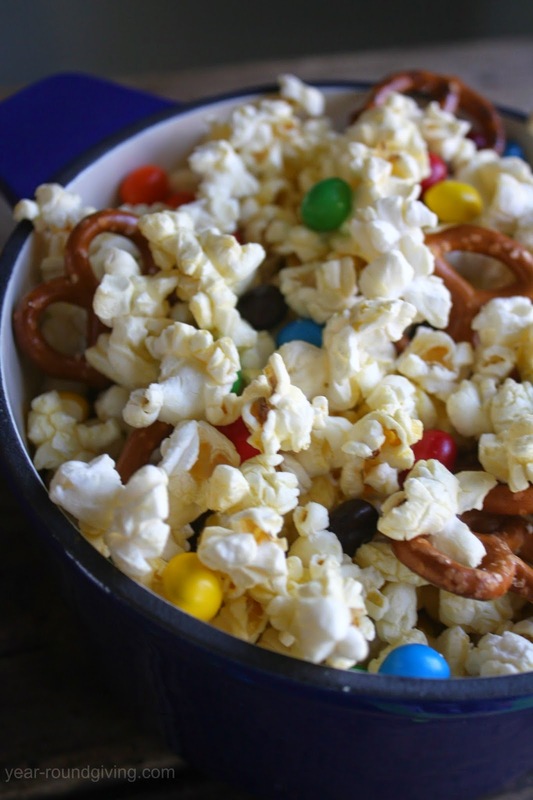 It is the perfect snack for movie night with the family. Since M&M's® Crispy came back on the market I had been wanting to try them. When a product comes back on the market due to customer demand they have to be amazing. M&M's® Crispy is delicious milk chocolate with a crispy rice center. 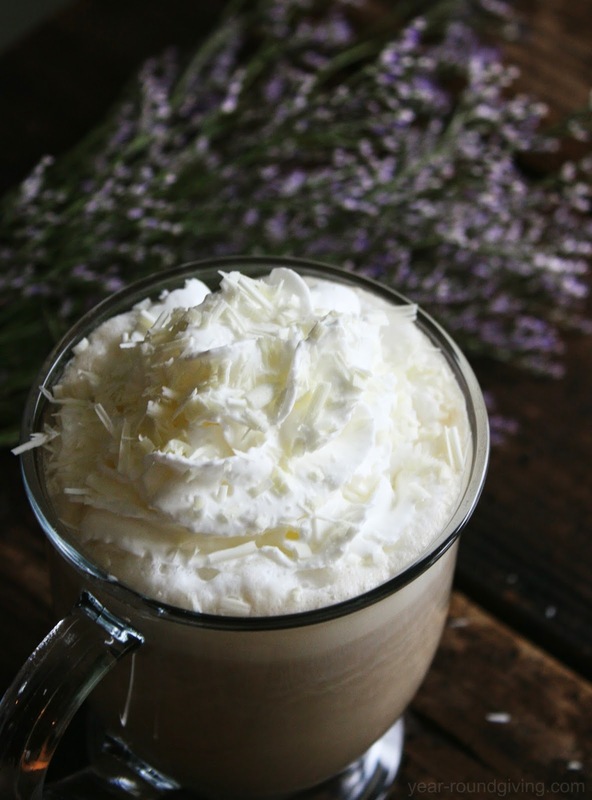 We couldn't go through March without having an Irish Cream recipe on the blog. Grab a big mug because this is going to be epic. These gorgeous cupcakes and frosting are made entirely from scratch which makes them extra special. The chocolate cake is baked with espresso to make these cupcakes extra moist. 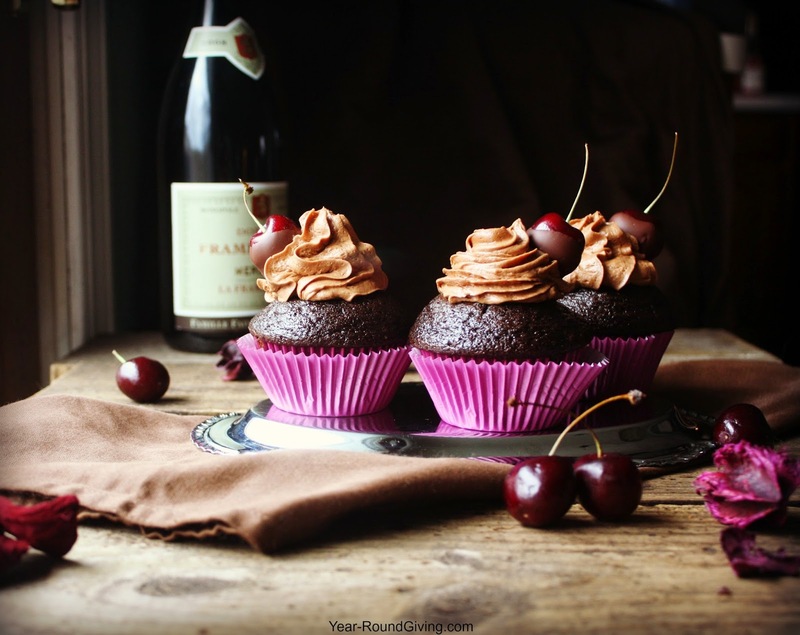 The rich butter frosting contains a hint of coffee and the chocolate dipped cherry takes this cupcake over the top. Grilled tomatoes drizzled with olive oil and garlic then topped with a 3 cheese blend, herbs and Hormel Pepperoni. 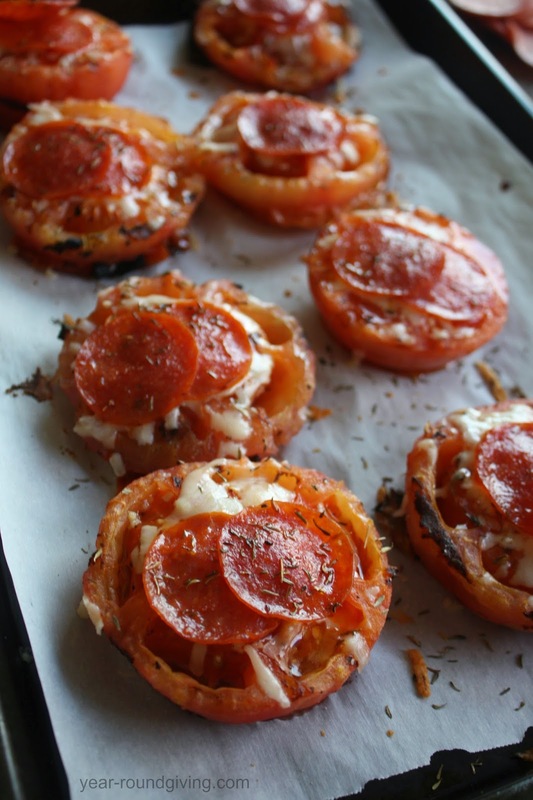 A few minutes in the broiler to melt the cheese and heat the pepperoni and you have yourself a delicious appetizer. 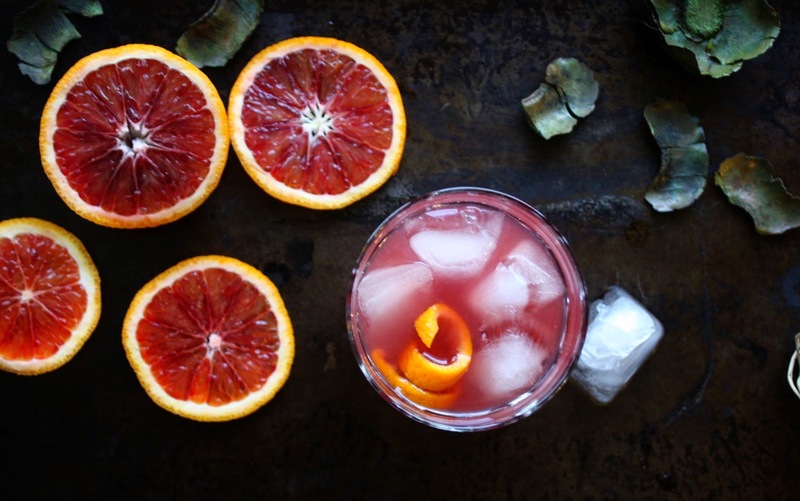 As if you really needed an excuse to make cocktails. I found a coupon for $1/1 Dole Pineapple Juice. 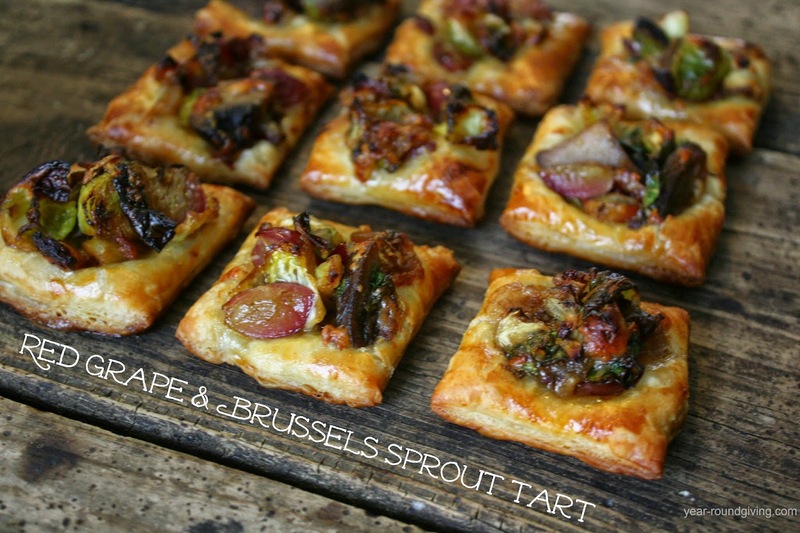 Red Grape and Brussels Sprout Tart is a sweet and savory appetizer full of flavor. Perfect for a get-together, potluck, or dinner party. This appetizer will stand-out among the other party provisions. 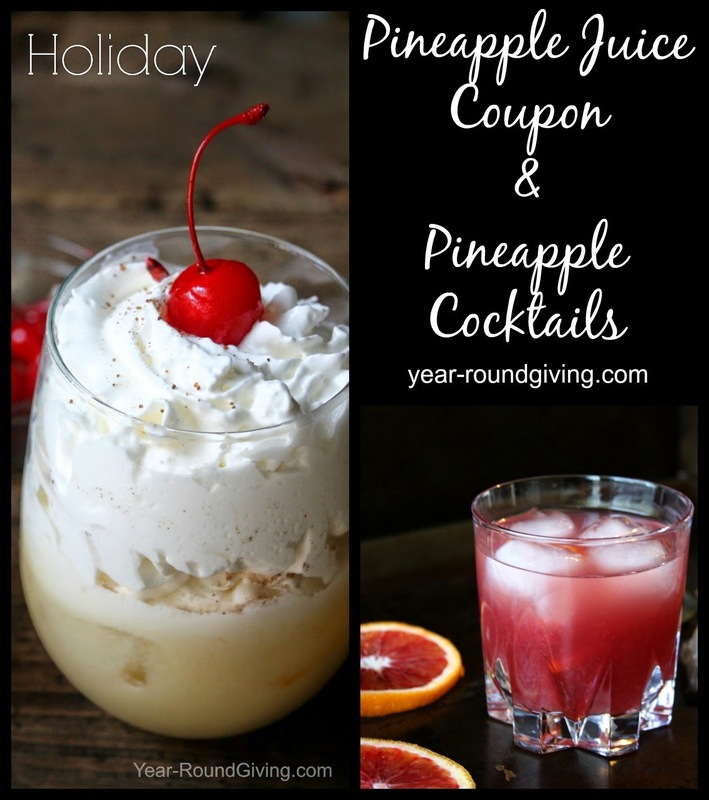 This tropical cocktail is not only gorgeous but smooth and delicious. The flavors work so well together you won't be able to stop at just one.